Each week a free newsletter is published. The purpose of the newsletter is to inform and benefit those wanting to get fitter, faster, or simply lose weight. The purpose is to save you time, but you learning the ‘easy way’ (opposed to learning the ‘hard way’), when it comes to training and nutrition. My background is one of being obese (120kgs+) in 2005. I lost the weight, got fit, and remained focused. In the process of this transformation I have completed a number of New Zealand’s iconic sporting events – and I have learnt a huge amount about what works…and what doesn’t. Some people can have philosophical debates about the merits of specific training techniques – others get out there and do it. Current Record holder - New Zealand 24 hour (outdoor) track record. (Endorsed and approved by Bike NZ). Taupo Challenge – Solo (160kms), Enduro (two laps), and Maxi Enduro (four laps). Graperide Ultimate (five laps of the 101km circuit) – I have participated in all editions of this event and have completed the most laps of the Graperide event. Completed the New Zealand Ironman, and also multiple Half Ironman events. Completed the Taupo Epic (5kms), and have swam Lake Rotoiti in the Nelson Lakes (7.6kms). Multiple marathons, with the training also including regular 20km hill runs. If you want to get the weekly updates, then simply add your email address to the “Subscribe to Articles” form at the top left menu. Touch base at any stage if you want to talk about how to get better. 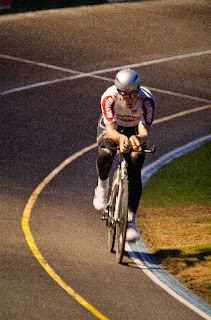 On the way to breaking the New Zealand 24 Hour (outdoor) track record in 2012.